In the 1950's a man by the name of Steve Henson created ranch dressing. Then, in 1954 he and his wife opened Hidden Valley Ranch which later became Hidden Valley Ranch Food Products, Inc, near Santa Barbara, California. When it was first manufactured for sale, it was only the seasoning. People were required to mix it at home, but after Clorox purchased the Hidden Valley Ranch brand for $8 million in 1972, they wanted to make it more convenient for customers. It has been the best-selling salad dressing in the US since 1992. 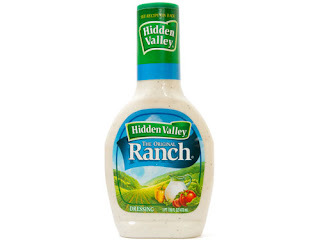 Ranch is considered a salad dressing, but it is so much more than that. Ranch can be eaten as a seasoning shake on food also. It is one of the most used dipping sauces also. 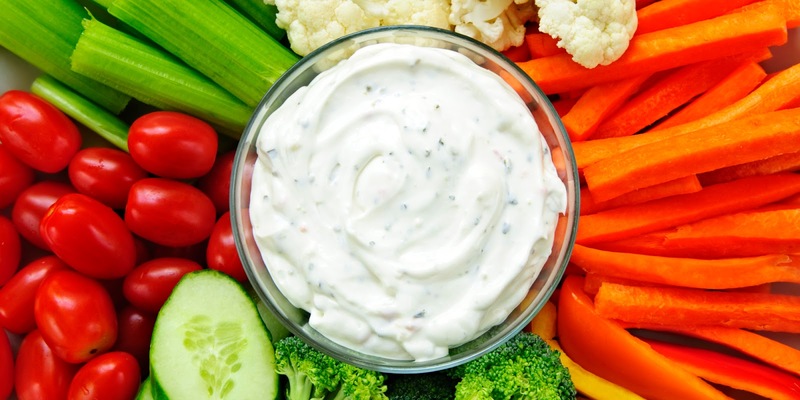 Everything from chicken wings, to chips, to raw veggies, it's all tastier when dipped in ranch! Although it is very popular in the US and Canda, ranch is almost completely unknown in other parts of the world. Can you imagine a world without ranch? Photos compliments of the "Huffington Post" & "Serious Eats"